This “Welcome” table sign is just the item to welcome your wedding guests in style. The sign measures 22.4 inches by 0.2 inches by 7.2 inches which makes it easily visible from a distance. The sign is finished with a lustrous gold coating. Requires some assembly. 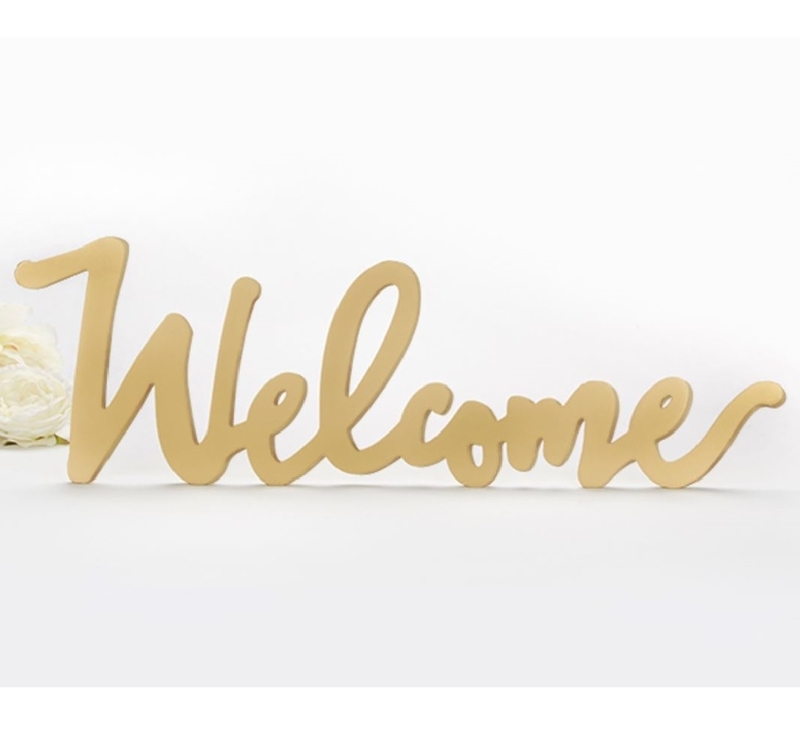 A big, bold and very visible way to welcome the guests at your ceremony, the Golden Welcome Sign is an item you’d do well to have your special occasion. The fibreboard sign comes in a gold finish that is sure to either add a touch of class to proceedings or complement the existing decor.